The Let’s Dance Club of Kelowna has provided a dance venue since 1992. We are a group of enthusiastic volunteers who love to dance. Our Club organizes dances every other Friday and welcomes dancers of all levels. Our goal is to provide a quality dance experience at an affordable price. Come check us out. 25 years and still going strong! 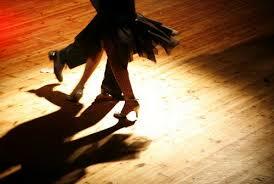 Ballroom Dance, Latin Dance, Social Dance Kelowna B.C. Variety of dances: Waltz, Foxtrot, Quickstep, Tango, Viennese Waltz, Cha Cha, Rumba, Jive, Samba, Salsa/Mambo, Argentine Tango, West Coast Swing and Night Club Two Step. Dance lesson included in admission.